Saeco Aroma coffee machine is another machine that aside from Saeco Odea Go coffee machine is what that Saeco International Group has created that would highly value add the coffee brewing experience. Before talking about the features of the Aroma and the reasons why people buy them, let us first have a short review of the company history. Saeco International Group was established in year 1981 and is located in Italy. You can also find the company’s main industrial site and headquarters in Italy, Gaggio Montano, and Romania. The company has 2000 manpower who works for it. Also, the company has local distributors and subsidiaries in 90 countries all over the world. 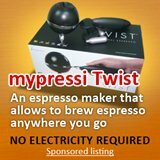 The company is one of the leading producer and designer of espresso machines. They were also known for producing auto vending machines for cold or hot beverages, and snacks. 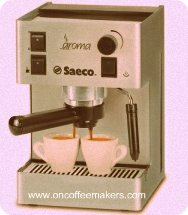 Saeco aroma espresso machine is categorized under “manual” category. This means that this machine has no grinding feature. However, you can find the other features are more than enough to get you a good brew. The machine has a brew switch for the user to have control on the amount and on the strength of the beverage. 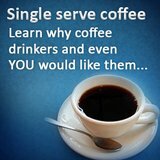 With this, you will be able to make your cup of coffee whatever your preference is, be it a strong or light one. Saeco Aroma espresso machine has a separate buttons for steaming and brewing process. The buttons illuminates to signal the user that the machine is now ready to execute the designated operation. The Aroma espresso machine’s steam wand can also dispense hot water for you to use on your tea. The wand also has the ability to steam and froth the milk of your coffee. 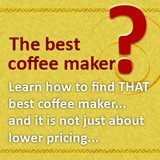 With this your coffee or espresso will be having a frothy delicious layer. Other features like heating element, simple brewing features of the machine, built in water tank that can handle up to 80 oz of water, a 15 bar pressure pump, and a frothing tip makes Saeco Aroma espresso machine a perfect one. 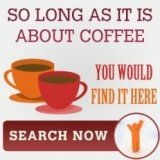 Aroma is a reliable and stylish espresso machine which makes great tasting espresso or coffee. This machine is definitely easy to use, easy to clean and easy to maintain. With all the features discussed, Saeco Aroma coffee machine is one of those espresso machines to consider if you are thinking of making gourmet coffee at home.